Membership has its privileges…Georgia Tech privileges, that is. 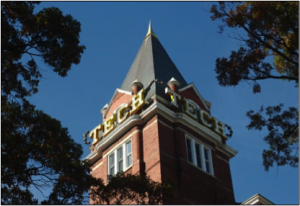 As a member of our community, you enjoy the benefits of being part of the greater Georgia Tech family. The Georgia Institute of Technology is one of the nation’s top research universities, with its campus occupying 400 acres in the heart of the city of Atlanta. In a world that increasingly turns to technology for solutions, Georgia Tech is using innovative teaching and advanced research to define the technological university of the 21st century. The Georgia Tech campus is a dynamic and vibrant place, with a constant array of activities designed for students, faculty, staff, alumni, and visitors. From athletics to concerts and theater to lectures and social gatherings, there are always great things happening at Tech. Check out the Virtual Campus Tour. 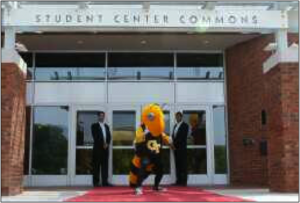 The Campus Recreation Center, located at 750 Ferst Drive, has recently undergone a $45 million renovation. Membership (three month minimum) is $24.00 per month and $10.00 per month for spouses. (Guests are $7.00 per entrance with up to two guests per day. ATDC and Venture Center members can show their BuzzCard to cash in on these great offers. Please contact the Ferst Center Box Office for more information. Using cutting-edge technology, the Georgia Tech Library delivers resources to satisfy information needs, promote lifelong learning, and create productive connections for the scholarly community. The library, located at 704 Cherry Street, has a vast collection of resources available to ATDC members. Due to our unique relationship with Georgia Tech, ATDC and its members can utilize most of the library’s resources including access to numerous databases. To check out books, you must first be added to the ATDC and Venture Center library privileges list held at the Georgia Tech library circulation desk. 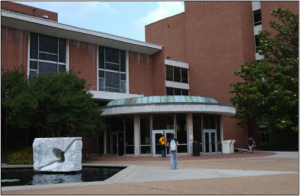 To request permission to check out books at the campus library, click here. 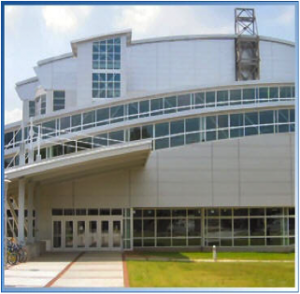 The Georgia Tech Student Center, located at 350 Ferst Drive, provides a full range of services to meet the needs of the students, faculty, and staff on campus. Retailers located in the Student Center include Einstein’s Bagels, Famous Hair, and Starbucks. If you are looking for a creative outlet, visit the Craft Center. Activities include pottery, photography, painting, and ceramics. If games are what you are looking for, head over to Tech Rec. There you will find bowling, arcade games, pool tables, and more.